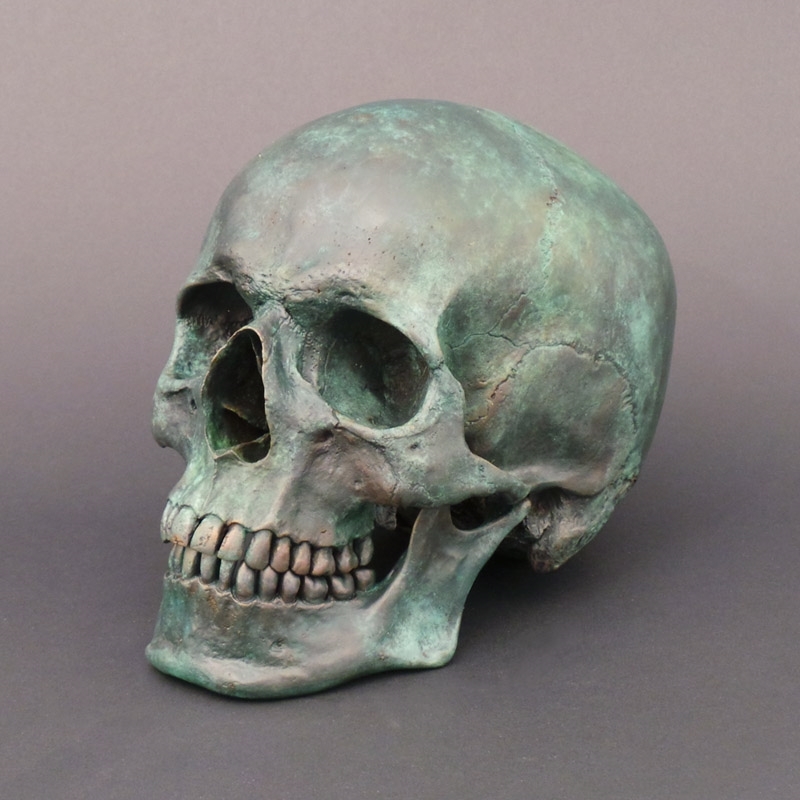 Full size Human Skull in Bronze. Cast in two pieces with articulated lower jaw attached. 6 1/2" tall x 8" deep x 5 1/2" wide. Also available as just the Maxilla without the lower jaw. When not available from stock please allow 28 days for delivery.